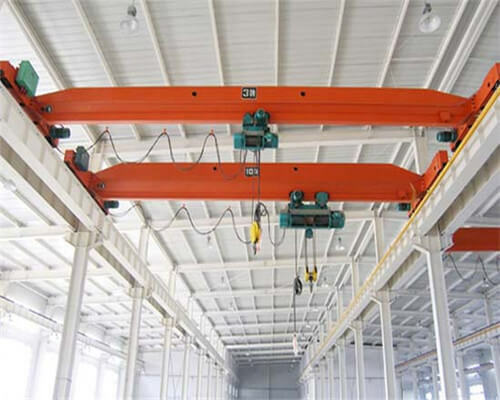 Single girder overhead crane from Ellsen overhead bridge crane factory is a lifting machine with lifting hooks or other take-up devices to achieve vertical lifting and horizontal transport of heavy objects in space. 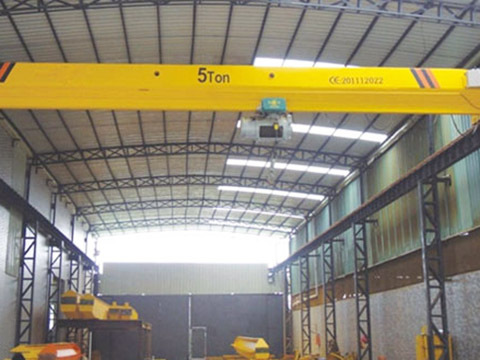 LD type electric single girder overhead crane is generally used in machinery manufacturing, assembly, warehouse and other places (the design is used for machine repair shop). 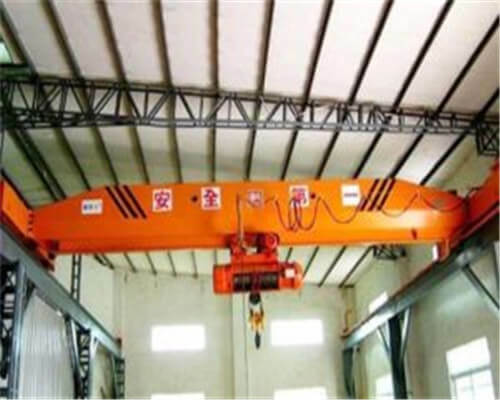 LD electric single girder overhead crane is not suitable for use in the transport of molten metal, red-hot metal, flammable materials, and their dangerous goods, nor is it applicable to explosives, fire hazards, corrosive gases and relative humidity greater than 85% the work of the place. LD electric single crane girder is built in Tianjin in the early 1970s, DL-type electric single-beam crane on the basis of the joint design and development of the country, supporting the electric hoist for the CD and MD type. It Is a kind of rail run light and small cranes, rated lifting capacity of 0.5 to 5.0 tons, for the span of 7.5 ~ 22.5 meters, the work level in the A3 ~ A5, the working environment temperature is in the range of -25 ℃ ~ 40 ℃. Crane running speed is less than 45m / min, the use of the ground to follow the type of operation, running speed greater than 45m / min for the use of operating room manipulation. 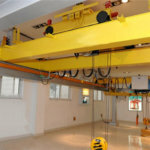 How Does the Single Girder Overhead Crane Work? Single beam bridge crane features the main advantages are: simple structure, lightweight, a small load on the plant, low power consumption. The main beam and the end beam are bolted, disassembled, transported, supplemented with spare parts convenient, small wheel pressure, quick installation, easy maintenance. The disadvantage is that the weight is not big. 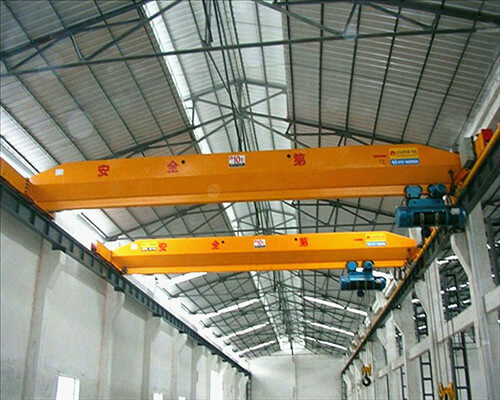 European single girder electric Overhead Crane is the product use world advanced level. Its design is based on international Standard: DIN(Germany), FEM (Europe), ISO (International), equipped with many advantages, such as strong rigidity, light dead weight outstanding structure design, etc. which could effectively save your factory space and investment cost. As an international overhead crane supplier, we provide quality overhead bridge cranes with various types and tons. 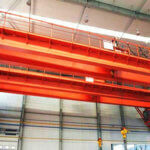 Besides, we design and manufacture overhead cranes in accordance with international standard. 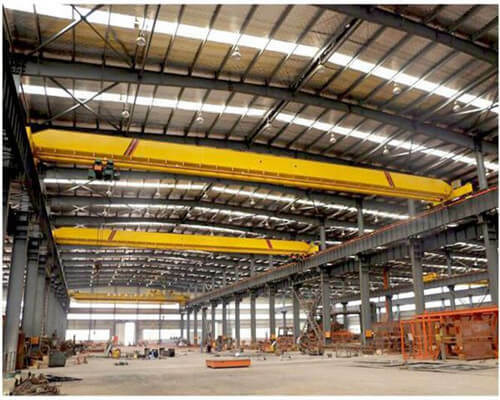 If you are looking for a reliable, safe, quality, and environmental single girder overhead crane, Ellsen heavy machinery is quite a good choice for you. Welcome to contact us for details, we are glad to answer you as soon as possible.